I love DSquared2. I mean, I can’t really imagine being able to actually afford any of their stuff, other than in my wildest daydreams, but I do love the way they manage to give their own special twist to everything they do. Take these high heeled sandals, for instance. 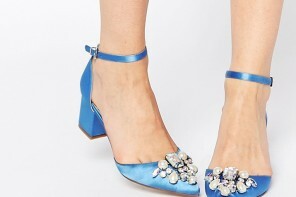 In the hands of another brand (and I’m naming no names here…), these could easily have ended up being a bit “prom-queeny” or “bridesmaidy”, if that makes sense? In other words, they’d have been pretty, but the kind of pretty that can end up looking just a little bit unimaginative, or formulaic. Like bridesmaid’s dresses, they end up looking very specific to the purpose they were designed for, and not at all like the kind of thing you might ever wear again. 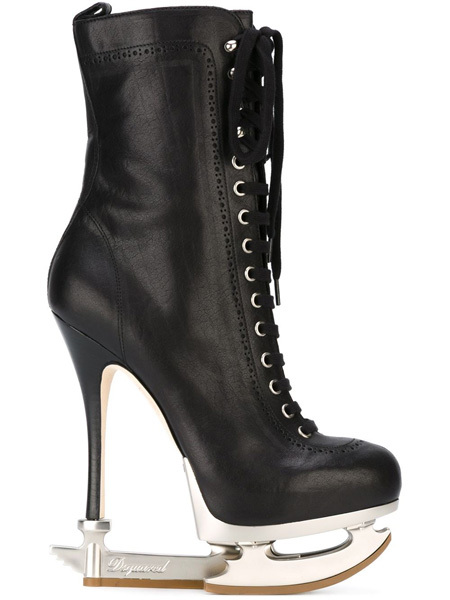 If you’re in the mood for something TOTALLY different, though, how about these ice-skate boots?